It focuses on quality porcelain of museum, collectors and investment interest however money or the value of anything is never mentioned. 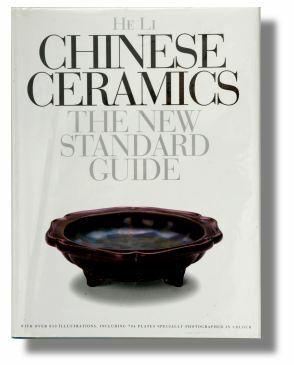 This book is a good general reference book on every area of Chinese Ceramics. Twin brick size and a “must have” on all topics on Chinese Ceramics. It complements almost all various fields within Chinese ceramics but is also a good starting point that covers it all, and gives a perspective. I doubt that anyone will ever outgrow this reference work. You can add to it but outgrow, well, not in the forthcoming decades. If your interest is wider than ceramics, there is an old classic by William Willets, Foundations of Chinese Art (London 1965), I warmly recommend, even if it is a bit dated and un-glossy in the age of the iPad. It reflects very much of the Swedish, I would call a bit solemn, view of the old Chinese culture.